Should I try a gluten-free diet? I’ve heard this question asked by many people. The short answer for me will always be a definitive YES. You should try a gluten-free diet. 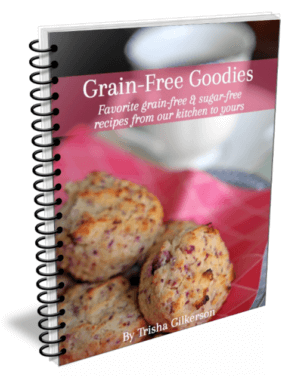 Looking for gluten-free resources? 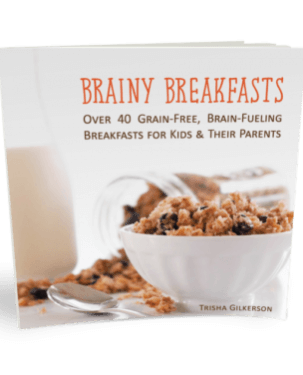 This Everything Gluten Free page is a library of everything gluten free we’ve worked on. Why? There are a number of problematic proteins in wheat. These are proteins that can cause problems for everyone. There are also some very specific overarching reasons that everyone should be wary of wheat. And to top it off, gluten sensitivity is associated with over 200 different diseases. Yes, you read that correctly, it isn’t a typo. TWO ZERO ZERO. 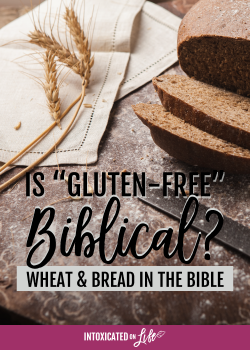 In health literature—whether it’s medical journals, blog posts, or magazine articles—you’ll probably come across some of these terms: celiac disease, gluten intolerance, gluten sensitivity, gluten syndrome, and gluten/wheat allergy. The terms that different people throw around can mean a number of different things. Gluten or wheat allergies refer to an immune mediated response. What that means is this: Any time someone is using the word “allergy,” they are referring to your immune system over-reacting to something. Your immune system views the protein as an invader and goes into attack mode—hence, you end up feeling miserable, at least to some extent. Plus, this acute reaction causes internal inflammation. The inflammation leads to systemic damage. The problem with a wheat allergy is you don’t always know you have it. Do you have repeated headaches maybe migraines? PMS? Chronic sniffling or coughing? There are just a few examples of symptoms of a wheat allergy. Gluten intolerance is not immune mediated, but an inability to tolerate gluten nonetheless. The reaction isn’t produced in the immune system, but in other tissues of the body, typically the gut. This is likely a person who has an problem with an overproduction of zonulin (we talked about zonulin in this post). 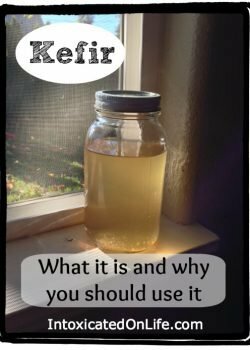 Essentially, zonulin creates a leaky gut and this leads to an array of problems throughout the body. 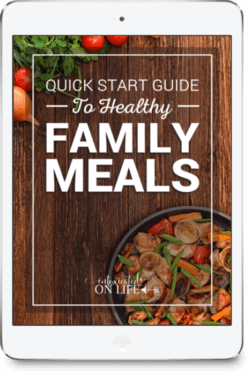 When this undigested food gets in the blood stream because of the leaky gut it can lead to a number of different food allergies (acquired allergies—allergies to foods that people don’t typically acquire later in life). But, the problems don’t stop with just allergies. As you can imagine, having poop in your blood stream doesn’t do your body any favors. Gluten sensitivity or gluten-syndrome don’t have specific definitions. They are used differently by different researchers and doctors, so the definitions are hard to nail down. These are often used as a mesh of the two above conditions (gluten allergies and gluten intolerance). Gluten sensitivity is not the same as celiac disease, but gluten sensitivity does cause celiac disease! 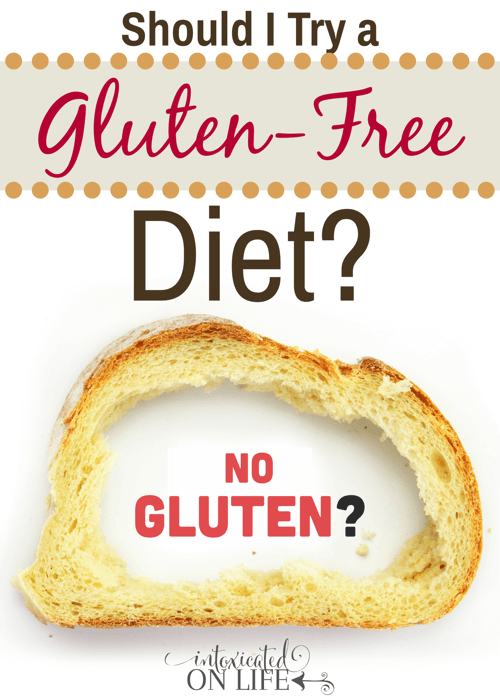 Many people believe that when a person is sensitive to gluten that means they have celiac disease. They think celiac disease is the only manifestation of having a problem with gluten. They make the incorrect assumption that if they don’t have tummy issues, they should be fine. Nothing could be farther than the truth though. Celiac disease is only one evidence of gluten sensitivity. In fact, gluten sensitivity takes many many forms. Often people who suffer from gluten sensitivity have no abdominal discomfort whatsoever. Often the symptoms of gluten sensitivity go undetected and unnoticed for many years because they are not severe enough to interrupt people’s lives. People don’t worry about the occasional migraine because everyone gets a headache now and then. Coughing and sniffles—just environmental allergies, I’m sure. That is, gluten sensitivity often doesn’t cause major interruption in lives until it has attacked your body to the point that you must wake up and pay attention. Maybe the development of an autoimmune disease. Repeated miscarriages. Infertility. The problem is, often people don’t link these things to a problem with wheat and your body can’t heal from these diseases overnight. In fact, if the damage is too complete, your body may never fully heal. Moral of the story: different people have different symptoms to gluten sensitivity. Pay attention to your body. 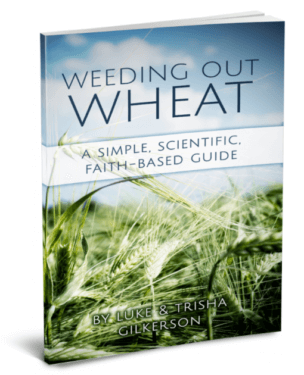 Have you given up wheat? What made you take the leap? Did you have symptoms unrelated to abdominal discomfort that you think were/are related to your gluten sensitivity? Girl, I ain’t gonna lie – this scares me a little. This is Annie’s 2nd week of trying the gluten free thing. Her nosebleeds have stopped…but she has a lot of other things on your list. 🙁 How long before those should clear up? Her hyperactivity is SOME better but not 100%….and are night terrors a symptom too? It is kinda crazy, isn’t it? If it’s just her 2nd week, the gluten isn’t even out of her system yet. The minimum amount of time to clear gluten from your system is 2 months, but I’ve read that with some people it can take up to 6 months! That is great that you are seeing improvement so soon. Hopefully if she stays gluten free you’ll continue to see improvement. 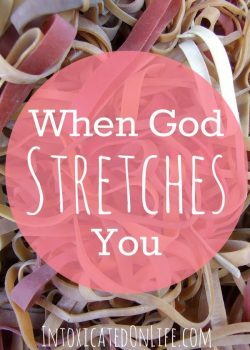 My guess is, it could take quite a while to see full improvement because it’s not just getting the gluten out of your system, it’s also allowing your body time to heal. The big issue to me is though, that it’s important to be strict because if your body has sustained damage, when you slip up it sets you back. Not back to square one, but it does set you back. Yes, I’ve read that gluten can be associated with night terrors. Hopefully you’ll see improvement in those in the coming months as well! 🙂 Thanks for linking up! I had never heard it called “chicken skin” before…my doctor said that was just kind of a fact of life?? My “chicken-skin” is getting better, but still not completely gone yet. I have started the GF about 3 weeks ago. so far the liquid stools have stopped after ten yrs. I have found a little more energy about every other day. your article is wonderful. Thank you so much for sharing your success! I love hearing those stories. My 10 year old had always complained about stomach aches after eating. He threw up a lot. So I tried to cut out dairy which helped some. A few months ago, he started sleep walking, having night terrors, and would be doubled over with stomach cramps. He would not remember this in the morning. This lead me to seek a referral to a GI doctor. (I had discussed with his doctors over the years and they ran various test. With no results. But I knew something was wrong when the sleep walking and night terrors began.) He was finally diagnosed with Celiac Disease in May. I hope this helps. I hope it helps too! Please keep us posted. Getting an actual celiac diagnosis can be difficult, so many people end up figuring out they have a problem with gluten just by trying a gluten-free diet. I tried your recipe and loved it! i am definately going to be sharing this link on my blog. There are a few people from my weight watchers group that something on here, i’m not sure where they fall, except for the fact they eat wheat or gluten free. i know i was recommended to eat wheat free to test if it had an impact on me in a lot of these areas, i fall into, and now i have a better understanding. Thanks, Definately something to share! I went gluten-free in March after a particularly scary day of what I’d normally classify as symptoms of my ulcerative colitis. I read that eliminating wheat can help IBD suffers so I gave it a try. I noticed immediate improvement. I have wavered occasionally (once in a while I throw a pity party and indulge in something I’m missing out on) but I always feel miserable afterwards. Just this week I went nuts and ate two pieces of pizza and two days later I still feel tired, crampy, and have a throbbing pain in my digestive tract. My doctor did a blood test that confirmed the genetic disposition to Celiac Disease. She said this means I have Celiac Disease, but I know that is not true – the blood test can only rule it out, not confirm it. I am having an endoscopy in a few weeks that is supposed to difinitively determine if I have Celiac, and if that’s a no I will try an allergist to see if they can determine if it’s some other kind of wheat allergy. But whatever name they do or don’t manage to put on it I have definitely proven to myself that wheat does not agree with me. As a “foodie” I am bummed at the things I can’t eat any more but I am grateful to at least live in a time when there are so many GF products available! It is nice to hear other people having the same feelings and issues and knowing that I’m not alone. I’m not celiac but I’m sensitive to the point that if I accidentally get any gluten in me I know with in 20 minutes. I feel sick, my guts just stop and then two days later my guts decide to evacuate all irritants with in a short span of time. Tired feeling for a few days and pain in my right side. This all goes away a day or so after everything gets out. Thanks again for the affirmation. I can assure you, you’re definitely not alone! There are so many people that haven’t been diagnosed with celiac who have problems with gluten. My son is one of them. He gets gluten and he throws up despite the fact that the doctors say we shouldn’t have to remove it from his diet. I decided to try Gluten free/dairy free after years of chronic sinus issues, headaches, and body pain. I am really hoping this works for me because my symptoms are debilitating. How long should it take for me to see some benefits? I hope changing your diet can really help you out. The amount of time it takes really depends on the person. Some people experience benefits within days and others it can be months. It can take up to 6 months to completely clear gluten from your system! Love this thread. However, if you want to know if you have celiac disease, you really should not go gluten free before getting your endoscopy. If you do have celiac, any extended period of time going gluten free allows the small intestine to heal which may result your endoscopy showing healthy villi, masking the fact that you truly may have celiac disease. Of course, if you know gluten causes you a problem, does it really matter whether or not you have celiac? Just sayin’.